Travelling from Athens, port of Piraeus to Aegina is one of the most famous ferry routes, concerning attica region and nearby islands. Aegina is linked with Athens (Piraeus) with daily and frequent ferry schedules, especially during high season. You can find both high speed or regular ferries departing every day from Athens (Piraeus) to Aegina at almost every hour. The earliest departure is usually at 7:00 in the morning and the last departure is usually around 17:00. The trip takes from 40 minutes to 1.15 hours. The ferry tickets to Aegina are quite cheap, an average ticket price goes from € 8.00-€ 18.00 according with the speed of the ferry, high speed ferries are more expensive than regular ferries and usually high-speed ferries don’t have garage for cars. The ferry companies that operate on this route are Flying Dolphin, Poseidon Hellas and Apollon Hellas. What is the distance between Athens (Piraeus) and Aegina? If you ever wonder what the closest island from Athens is, the answer is Aegina! Aegina is about 45 km from Athens (port of Piraeus) and usually the ferry trips last from 40 minutes with high speed ferries and 1.15 hours with regular ferries. What ferry to choose at the Athens (Piraeus) to Aegina ferry trip? 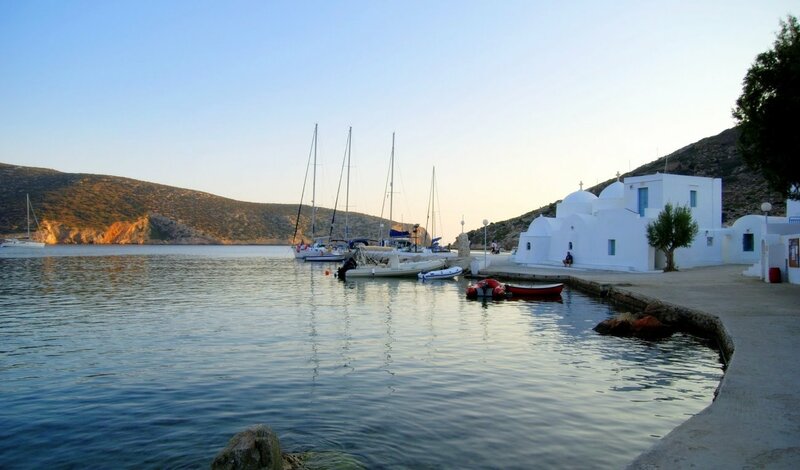 Aegina is one of the favorite islands of Athens citizens for weekend excursions during summer specially because Aegina is the closest island from Athens. If you plan to travel to Aegina during these months, take care of booking your stay and your ferry tickets (especially car tickets) in advance! Aegina is also connected to Agistri, Poros, and Methana. The connections between Aegina and Agistri are frequent, with several ferries per day and the route between Aegina, Poros and Methana is served by one ferry per day. For more updated info and details on the prices, you may search in our booking engine. In our pages, you can find useful travel information about Aegina. Aegina is an island at Saronic Gulf along with Hydra, Spetses, Poros and Agistri. You plan your island hopping trip there, by using our Ferry Map.